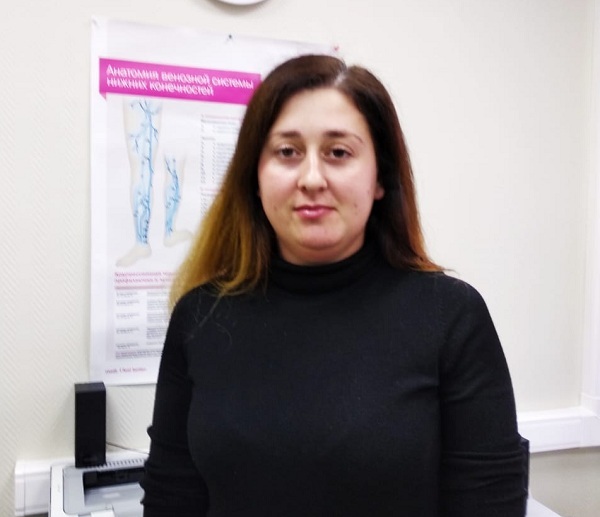 Our Phlebology Center in Moscow offers patients most modern and effective diagnostics and innovative methods for treating varicose veins of the lower extremities. 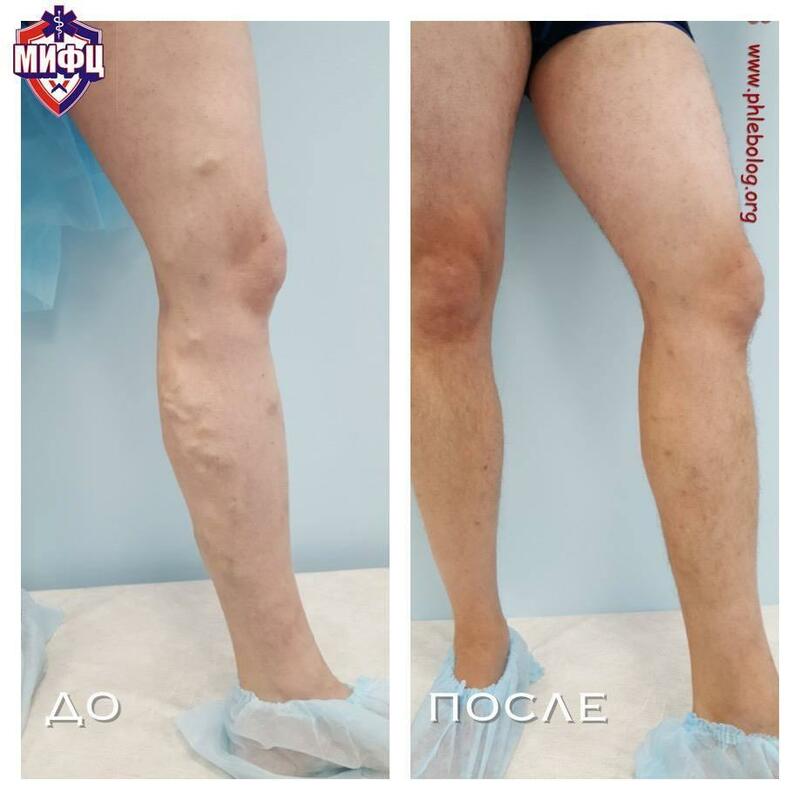 Only the most advanced treatment for varicose veins of the lower limbs - without incisions, without seams, without common anesthesia, without scars, without long rehabilitation period, without interruption from work and family. We treat with special care and concern every patient, because the best thing for a doctor is the feedback of grateful patients and a good memory of the time spent by them in our clinic. 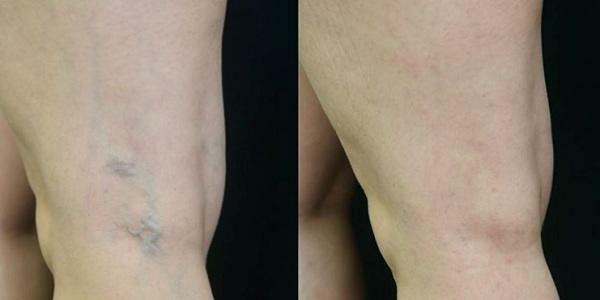 Phlebologists of our center perfectly use all the existing methods for eliminating varicose and «spider» veins. After consultation doctor can choose which treatment method is better for you. Turning to our center you get the whole spectrum of phlebological services out-patient, without disturbing the habitual way of life: Competent consultation of an experienced phlebologist. 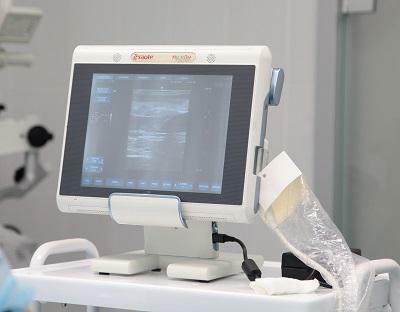 Complex diagnostics, including ultrasound scanning of veins. A wide choice of the most modern methods of treatment of varicose veins. Flexible system of prices and discounts. Limit care and attention to each patient. The guarantee of the result is an annual free observation. 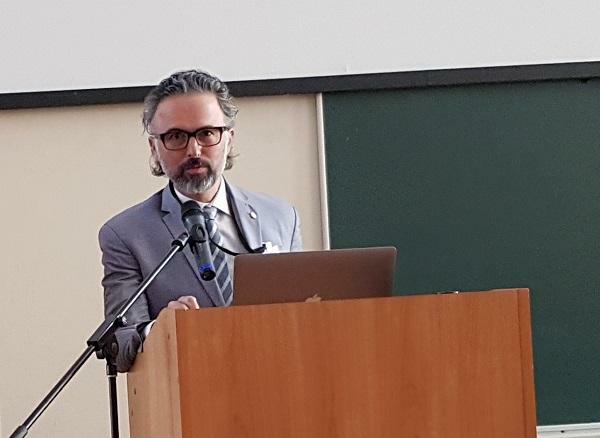 24 May 2018 year in St. Petersburg under the auspices of the "St. Petersburg Association of Phlebologists" held a scientific and practical conference with international participation "Laser phlebology 2018", which was devoted to the fundamental and practical aspects of the application of new methods of treatment in phlebological practice. 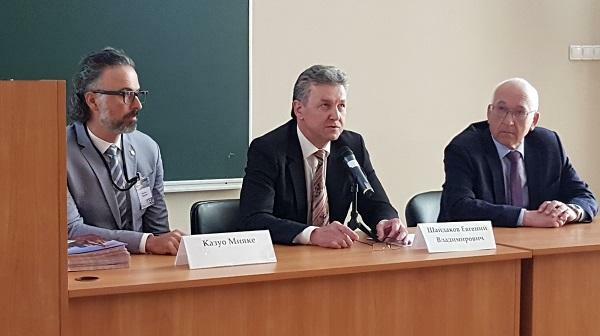 Leading Russian vascular surgeons, phlebologists and cosmetologists took part in the conference. 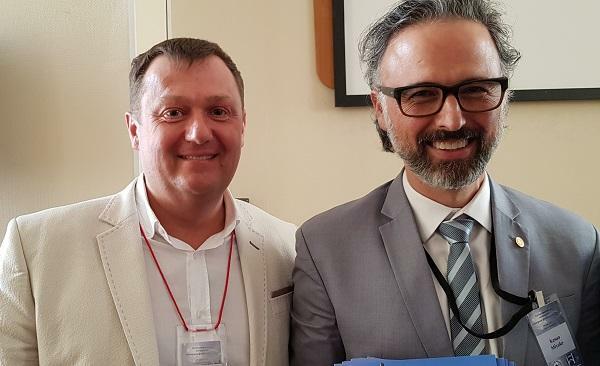 From the invited international speakers the forum was attended by the leading Brazilian phlebologist Kasuo Miyake and surgeon-phlebologist from Serbia Petar Dragic. 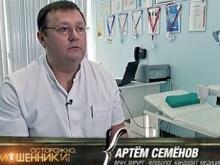 Head of the clinic of phlebology "MIFTS" Semenov Artem Yuryevich took part in the conference. The first to make a report was a doctor from Brazil Kasuo Miyake. 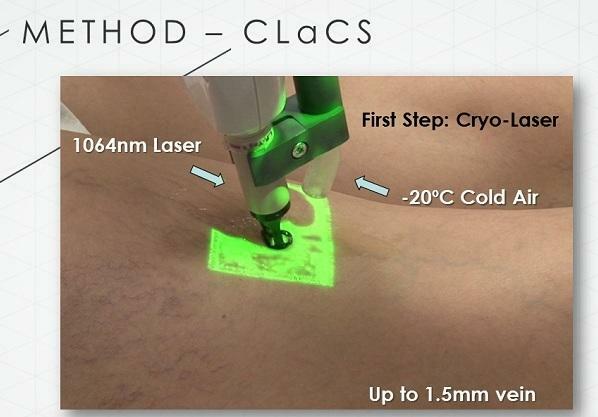 In his reports, Kasuo Miyake touched upon the development of CLaCS technology in Brazil, explained and substantiated his classification of aesthetic venous disturbances and showed how he uses during the sessions of the cryosclerotherapy and cryosclerolaser "Augmented reality". Kasuo Miyake is a member of the Brazilian Society of Vascular Surgeons and Angiologists, an honorary member of the Argentine College of Vascular and Lymphology Surgery, the founder and president of the annual International Conference on Aesthetic Phlebology (IMAP), the founder of CLaCS (Cryo-Laser and Cryo-Sclerotherapy) . 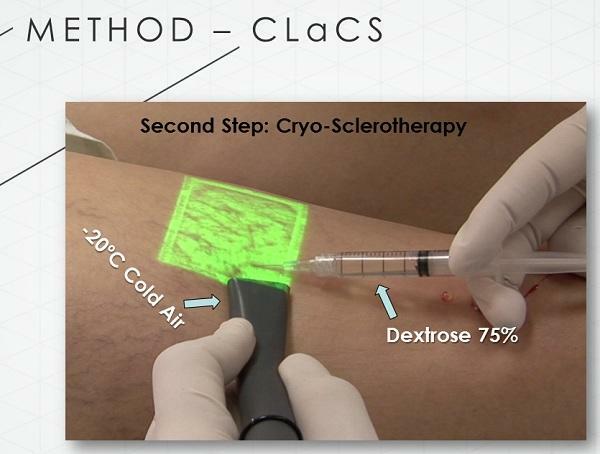 In his first message: "ClaCS: cryolaser and cryosclerotherapy. Why and how? "Dr. Kasuo Miyake turned to the history of his family. 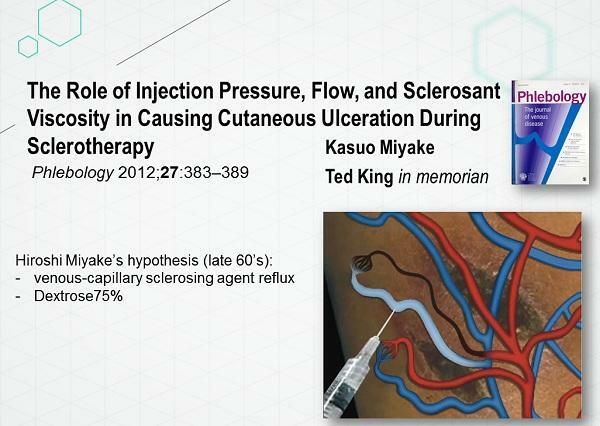 The study of the side effects of sclerotherapy was started by his father, Hiroshi Miyaki, in his doctoral dissertation at the University of São Paulo (1972). 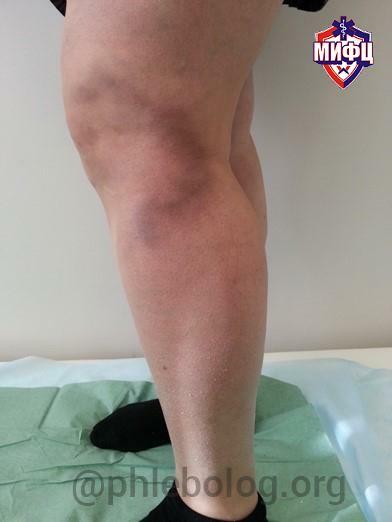 "Physiopathology of ulcerative defects in sclerotherapy: an experimental study on rabbits." The animals underwent subcutaneous injections in the volume of 1 ml of several sclerosing preparations in the area of ​​the auricles under pressure of 300, 500 and 700 mm of mercury. The role of the injection pressure, the amount and viscosity of the sclerosant for producing ulcerative defects was investigated. 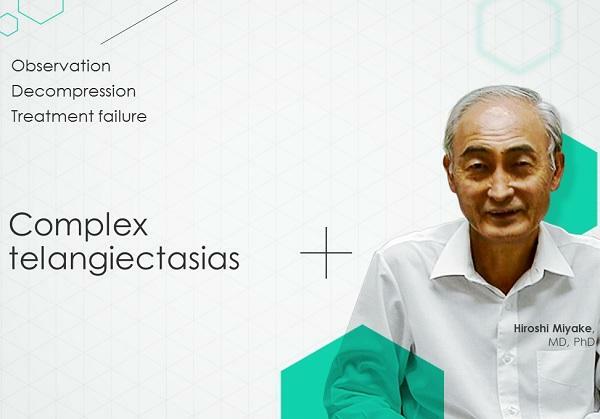 In subsequent years, Hiroshi Miyake actively practiced the surgery (microflebectomy) of telangiectasias, and in 1989 actively engaged in their treatment by inserting into the vessels 75% glucose solution. 1995-1999gg. - the emergence of medical transcutaneous lasers. 1999. - the appearance of long-pulsed lasers with a wavelength of 1064 nm. 2000. - the beginning of the use of contact cooling. 2003. - the emergence of special cooling devices. 2005. 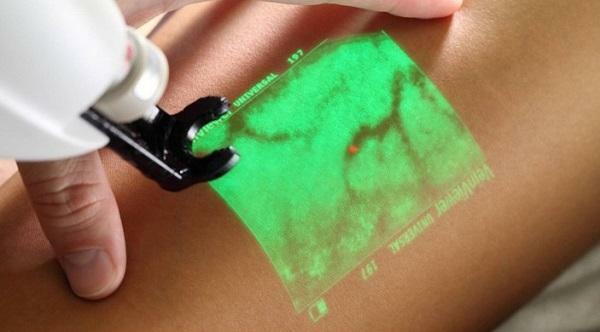 - study of the Vein Viewer device to improve the visualization of blood vessels. 2006. - the appearance of ClaCS cryo-laser and cryo-sclerotherapy. The ClaCS method, in the original version, is an injection of a sclerosing 75% glucose solution followed by a long-pulse laser with a wavelength of 1064 Nm. The entire procedure is performed with cooling the skin with a stream of air (-20 ̊ C). 75% glucose solution causes osmolality of the vascular endothelium, laser radiation induces thermal damage to both the intima and the medial membrane of the vessel (tunica media). The effects of laser and cold contribute to the narrowing of the vein, which, accordingly, reduces the intravascular blood clot. The latter significantly reduces the likelihood of such complications as hyperpigmentation. Ability to abandon the use of compression. Exposure to direct sunlight is permissible the next day after the procedure. Complete absence of such complications as: skin necrosis, deep vein thrombosis and embolism, anaphylactic shock and death. 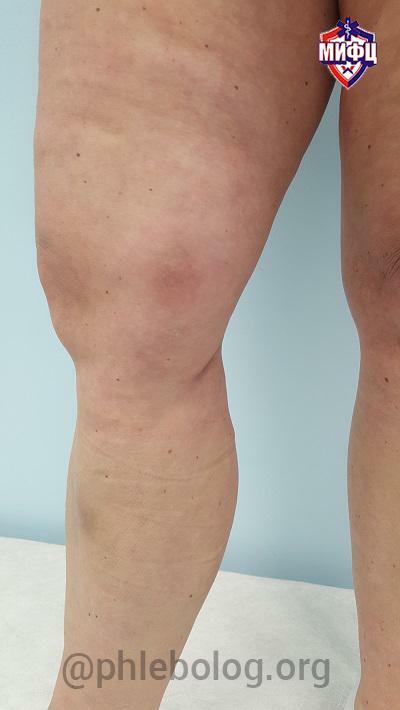 Hyperpigmentation of the skin took place only in 0,67% of patients, and skin burns - in 0,11%, which is significantly lower than with isolated application of classical sclerotherapy or a transcutaneous laser. Petar Dragic made two reports: "Laser cross -ectomy - risk or reliability? 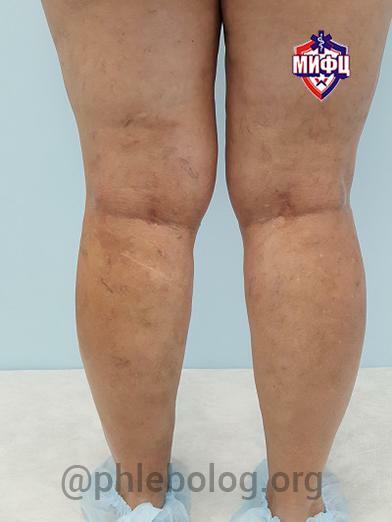 "And" Three years of cryolaser sclerotherapy ". 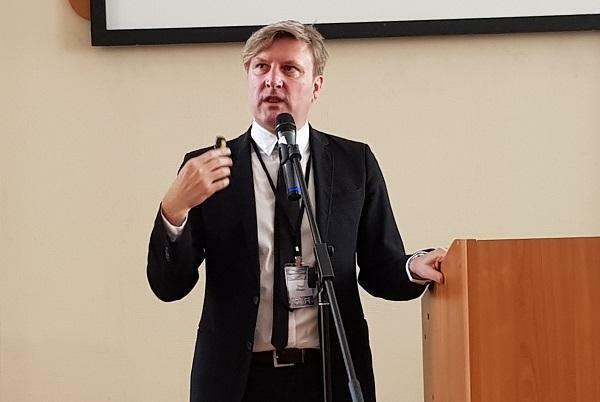 Peter Dragic, the famous European phlebologist from the city of Sombor (Serbia), the founder of the Dr Dragic clinic in the city of Belgrade (Serbia) and the city of Banja Luka (Bosnia and Herzegovina). 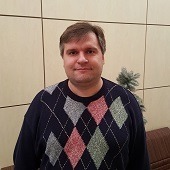 His first message Peter devoted to the topic "Advantages of ClaCS. Cryolaser and cryosclerotherapy. " 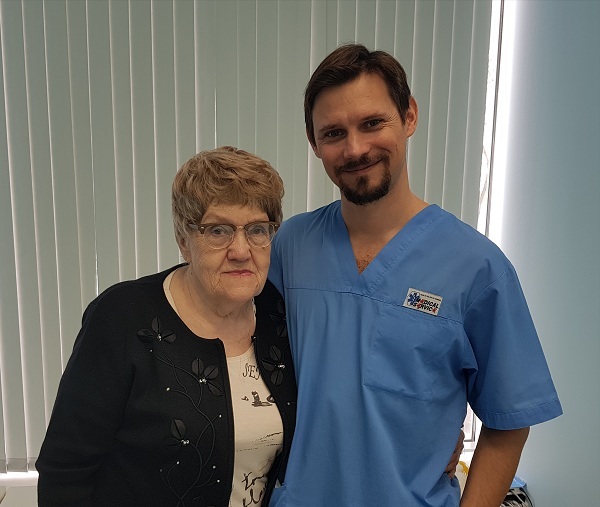 Dr Dragic told about the history of his clinic - Dr Dragic, which was founded in Novi Sad (Serbia) in 2007 year. Later, branches were opened in Belgrade (Serbia) and Banja Luka (Bosnia and Herzegovina). 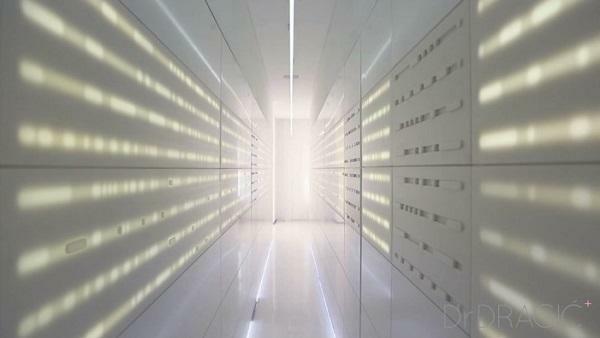 Clinics are distinguished by high specialization and aesthetic orientation. The Dr Dragic clinic was the first in the region to start endosal laser treatment, and ClaCS-therapy was the first in Europe (in 2015 year). Currently, the clinic operates an educational center with the support and patronage of Biolitec and Covidien. More than 100 specialists from different regions of Europe have already been trained at this educational base. The phlebology center Dr Dragic specializes in laser surgery and ClaCS therapy, where more than 1000 procedures are performed annually. Air cooling (up to -20 ̊ C). Visualization with the help of the veovisor. Completely avoid the appearance of necrosis and ulcers. 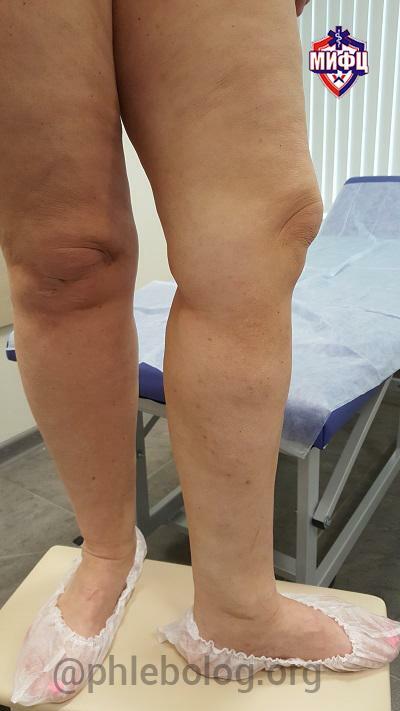 The combination of the effects of sclerotherapy, laser and cooling gives the best results. 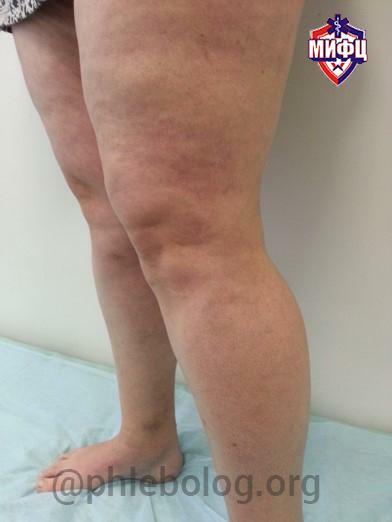 The removal of feeding veins becomes a pledge of a long period without relapse. 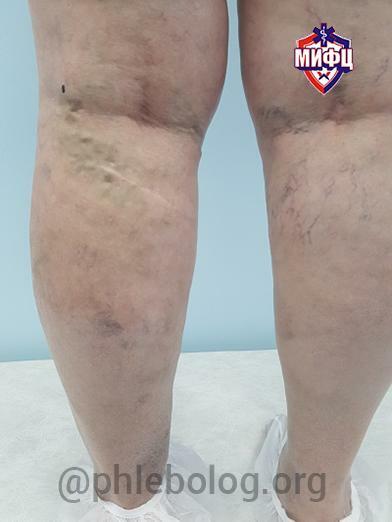 The procedure allows you to remove not only telangiectases and reticular veins, but also veins that are not detected by the naked eye, located at a depth of up to 1 cm. It allows to effectively remove vessels in such difficult areas as the ankle and foot. 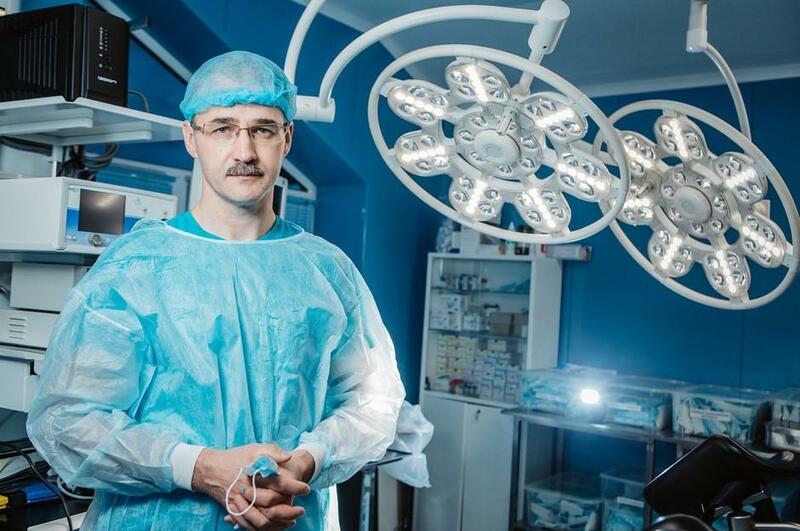 The second report of Dr. Peter Draghić was devoted to laser cross -ectomy. In the Dr Dragic clinic, a prolapse of the blood clot into the femoral vein lumen (EHIT) was performed with laser obliteration of the trunk of the large saphenous vein. In both groups, the average prolapse of the clot was 0,9 mm. When the light guide was positioned in 0,9 mm from the SPS, a retraction (shrinkage reduction) was achieved at 30%, which was not observed in the second group. The denser fixation of the clot in the vein lumen was in the first group, which theoretically hinders the growth of EHIT. 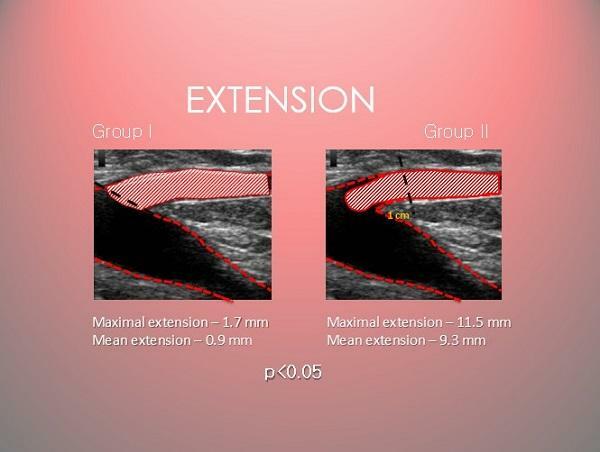 The protrusion of the clot into the femoral vein lumen during the EVLA (radial fiber) procedure on a large saphenous vein with a diameter ≤ 1cm is not related to the positioning level of the laser catheter. The expansion of the blood clot with the formation of EHIT more significantly depends on the characteristics of the blood flow in front of the tip of the fiber than from the positioning level of the catheter in the lumen of the large saphenous vein. The expansion and non-adherence of the blood clot in the second group (positioning 9,3 mm from anastomosis) may be predictors of the development of EHIT, but further research is required to confirm this. Speech by Russian speakers in the next issue of news. There are currently no answers to this article. Cite your Sources with a URL link to verify facts or help readers find more details. You can insert the survey in your discussion. The poll will be added to the discussion. To protect the site from bots and unauthorized scripts, we require that you enter the captcha. Конференция: «Terra incognita хирургической флебологии: от CHIVA до вальвулопластики», г. Москва, XNUMX-XNUMXг. XNUMX День. Конференция: «Пациент с венозной патологией: от варикозной болезни до посттромботического синдрома», г. Волгоград, XNUMXг. Научный семинар для флебологов "МИФЦ: «Венозные тромбоэмболические осложнения», г. Москва, XNUMXг.